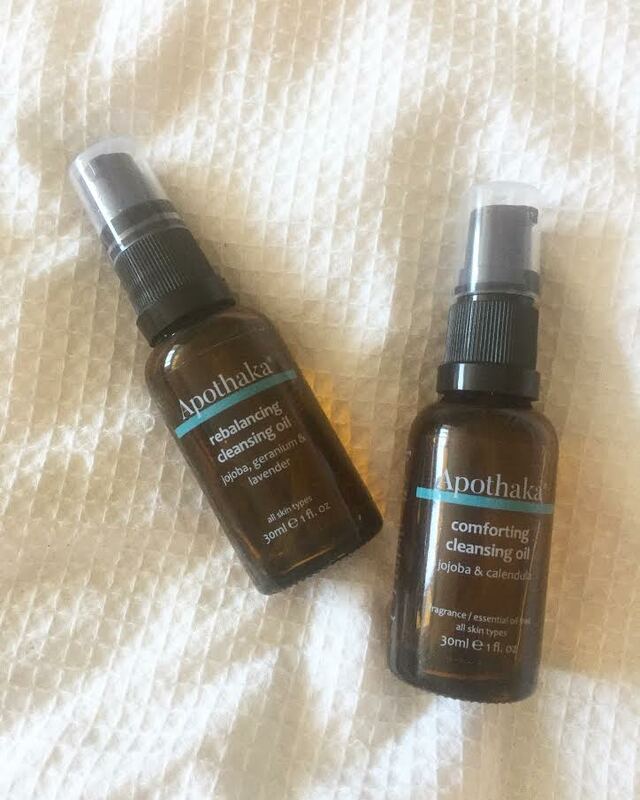 For the last few months I have been testing out some key products from Natasha Dauncey, creator of Apothaka hand blended, plant based skincare range. I met Natasha back in June and the first thing that struck me was her skin…Absolute perfection! When she spoke to me about her new skincare launch I was super keen to test it out, especially if it would give me half the radiancethat Natasha had. The range is predominantly an oil-based system, which, can be off putting for those with an oilier or congested skin. Natasha however has devised a range that is both effective and simplistic and uses lightweight oils that won’t lead to congestion. Although the Apothaka range consists of blends of essential oils, it also has now incorporated essential oil free products for those who are sensitive to EO. I’ve been using two types of cleansing oil from the range, an essential oil free Comforting cleansing oil and Rebalancing Cleansing oil. This has been my go-to cleanser to remove heavier makeup after a night out. Its key ingredients are Jojoba and Calendula. Soothing, reparative ingredients that will hydrate and calm skin and it’s the prefect remedy after a night on the town. The texture lifts off heavy makeup and encourages you to massage the skin, increasing blood flow and assisting muscle tone. For me, this is like an at home spa experience. I like to cup over my nose and breathe deeply for a few breathes before massaging this cleanser all over. The blend of Jojoba, Geranium, Lavender and Comfrey work well to not over power the senses but provide a relaxing aroma that is a joy to use. Very enjoyable to use as part of a bedtime routine. As well as being soothing this oil is really light in texture so if your skin leans more toward combination, you won’t feel clogged or greasy. Nice for a stressed out skin and those who enjoy the process of using a soothing and relaxing oil to remove the day from your skin. water to emulsify. Massage a little further and remove with a washcloth. I’ve enjoyed using the cleansing oils from the Apothaka range and found the size really handy to pop in my wash bag for traveling with. Great for a thorough cleanse but also a real luxurious treat to use. I have also been testing out the skin boosters from the range, which, are excellent when your skin needs a little pick-me-up, Also great to mix a drop with your foundation if you have very dry skin to give you a beautiful radiance. You can shop the Apothaka range here.